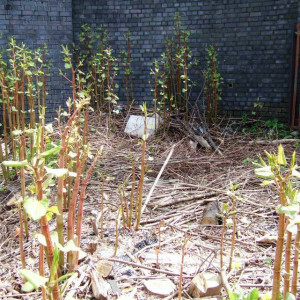 We offer thorough ecology services in Greater Manchester and the North West, for the purpose of building developments as well as conservation or the improvement of a site’s biodiversity. We apply our ethics and expertise at all the stages of the environmental management process, from initial surveys of proposed building grounds to the maintenance and regeneration of urban developments and rural lands. Contact us now for a free site assessment! One of our qualified and experienced specialists will survey the area as unobtrusively as possible, and come back to you with a detailed report of findings and recommendations. 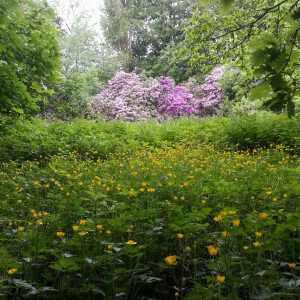 We will visually assess and survey sites for protected species, such as bats, newts, badgers, nesting birds and certain flora and, if present, make recommendations about construction plans and biodiversty in order to protect these species to strict, legal guidelines. High level survey to assess the type of habitat currently on site. Highlights any potential nature conservation value, which may cause ecological constraints on the development. Including recommendations on how to manage the area to conserve its current biodiversity or restore it to a previous state. Standard technique for classifying and mapping habitats, including a record of habitats that are likely to be ecologically important and providing target notes on important aspects of a site. Highlights any potential ecological constraints on the planned development. Standard technique for classifying and mapping habitats, where the phase 1 survey has highlighted the need for more in-depth information about the most valuable areas of a site. Includes a comprehensive species inventory and DAFOR analysis to record populations. (DAFOR = Dominant, Abundant, Frequent, Occasional, Rare). Where we identify, quantify and evaluate the potential impacts of development on ecosystems, species, habitats or their components. An EcIA may be carried out as part of a formal environmental impact assessment (EIA) or to support other forms of environmental assessment or appraisal. A formal process that can help to predict environmental consequences, positive or negative, of a plan, policy, program, or project prior to the decision to move forward with a development. Can include measures to adjust impacts to acceptable levels or to investigate new technological solutions. Based on a free initial site visit, we will provide you with with a no obligation quote, including a site assessment, recommended work to control the specific species (with treatment timescale), and associated costs. Our weed control operatives hold the appropriate NPTC pesticide qualifications, and all arisings are dealt with strictly within the limitations set out by the relevant legislation and as per industry good practice.